The 3rd Annual West Prince Sprint Triathlon will be taking place on May 26, 2012 at the Rodd Mill River Resort. There will be 5 starting heats of 5 racers each. They will start with a 750 m swim in the Pool, followed by a transition to the 20 km bike course on the roads. The bike course is fairly flat with a few small hills to get the competitors heart rates up. The bike ride will consist of 2 laps of a 10 km out and back loop. Racers will then switch to the 5 km run along the same route as the bike course (only shorter). The run will be mostly flat with one small hill near the turnaround point. 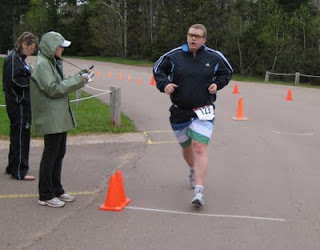 The pool swim, combined with a relatively flat course, make for a great first tri as I discovered last year.